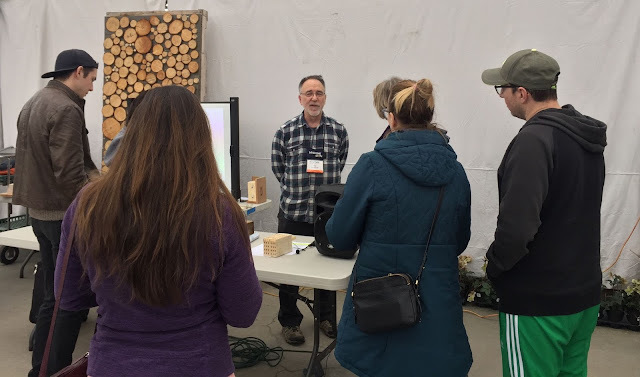 Rapt students gather around Ray Strelecki at his Mason Bee seminar at Sky Nursery on Saturday, February 3, 2018. Strelecki, of Michael's Mason Bees, explained how to attract and encourage these valuable native pollinators. He covered bee houses, siting, favorite plants, and reducing predation and parasites.